So, the real question is: does constructing a national cathedral in the multi-religious society such as Ghana constitutes an infringement of the rights of any particular group of people or minority religious sects? The answer is NO! 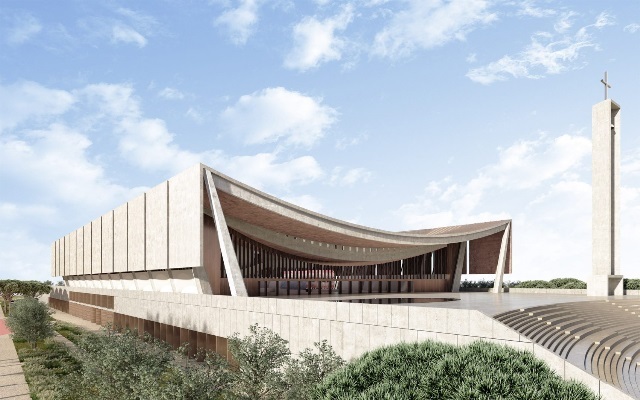 If that is the case, then, why are bunch of Ghanaians, including some of the so-called Christians among the vociferous pack, opposed to the idea of national cathedral planned to be built not out of taxpayers’ money but from private funds? As my historian/constitutional lawyer explained persuasively in our conversation, although numerous reasons may account for the opposition of President Akufo-Addo’s national cathedral initiative, no doubt many of the naysayers’ positions are driven by jealousy or ignorance that has seemingly become an unshakeable part of Ghanaian socio-cultural persona since independence. Typically, Ghanaians are good talkers, complainers, opinionated almost about everything until it comes down to problem-solving, or when someone else wants to embark on something that is innovatively big, in which case some people will try the “pull-him-down” tactics out of sheer jealousy. Often, a lot of Ghanaians offer critiques or opinions about some policies as if those viewpoints are all in good faith, but a little scrutiny exposes the critics’ ulterior motives. For example, many Ghanaian political historians contend that if Dr. Kwame Nkrumah had given in to the cynics at the time, even the economic infrastructure like the Tema-Accra Motorway would not have been built, because there was much fierce opposition to that vision. Ghanaians will oppose everything and at the same time want everything from the government. Some of the reasons given for opposing the national cathedral border on economic constraints as if abandoning the monument’s construction will suddenly add budget surplus to the nation’s fledgling economy or solves the carnage on Ghanaians’ roads, including the garbage drowning our neighborhoods in Ghana. Our Muslim brothers and sisters would never have a problem like their indecisive Ghanaian Christians are noted for, given the same sets of circumstances. Imagine Ghana as predominantly Muslim nation, there is no way we will not have a national Mosque constructed; and, that scenario wouldn’t be a big deal. As indicated, in democracy, the majority rules as long as the minority right is sacredly protected. In other words, building an interfaith cathedral by a Christian President is not in any way an attempt to supplant the faiths of the religious minorities. It will be suicidal for any Ghanaian leader to go that religious route. Certainly, that is never the intentions of Nana Addo Danquah to promote one religion over the other. Reflecting on the significance of the national cathedral in US, the Rev. Samuel Lloyd III, a former head of the cathedral, once explained the interfaith landmark in a simplest way possible: “A sacred place to celebrate events that have shaped our country [United States], to mourn in times of loss, and to address the pressing moral and social issues of the day.” Like the proposed Ghanaian version, the national cathedral in the US capital is not necessarily a place of “worship” for Christians per se, but it is modelled to be the “spiritual home for the nation” regardless of one’s religious faith. Bernard Asubonteng is US-based writer.